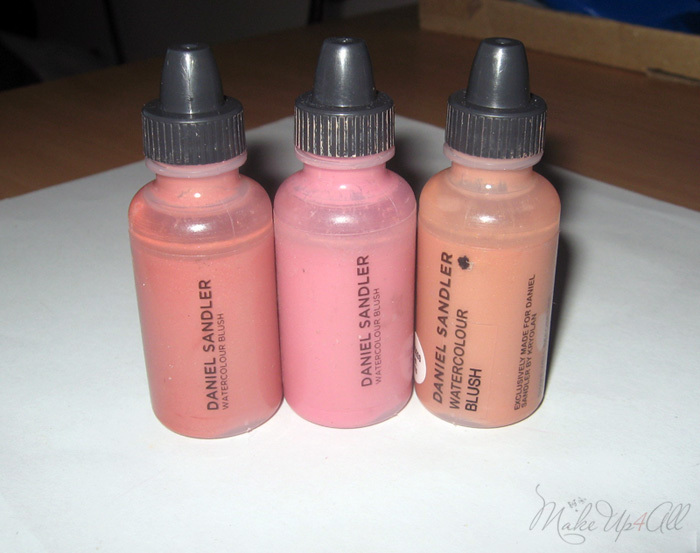 Daniel Sandler Watercolour Blushes Review and Swatches. Love Them! I already featured the famous Daniel Sandler Watercolours here but I think it’s time to write a full review and swatch all the shades that I have. Some people commented that they’ve never heard of this brand and of Daniel himself. 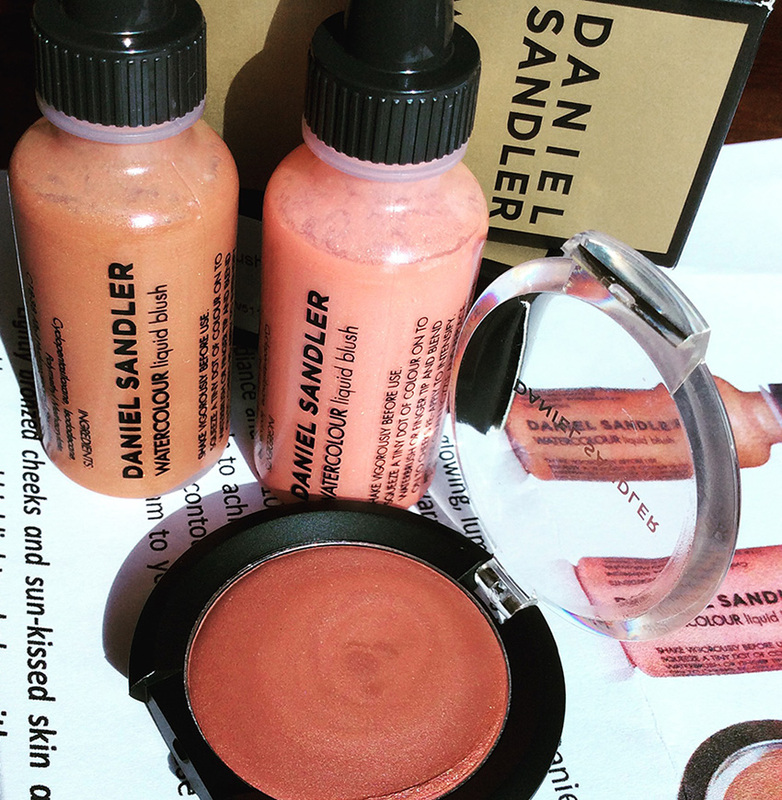 Daniel Sandler is a British celebrity Make-Up artist and a co-fonder of the Daniel Sandler Cosmetics. To find out more check out the official website. I also recommend you watching some videos with Daniel as he is very talented and charming, a pleasure to watch. But what about the blushes? These are probably the most famous Daniel’s products, they even brought him his first beauty award from the Grazia magazine. First of all I have to say that I’ve wanted to try them for a long time so I was really happy to get three shades to try out. And here are some of my thoughts and, what is really exciting, tips from Daniel himself that he shared with us! 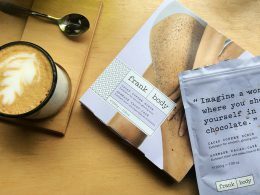 I perfectly understand why these are so popular, as they are a pleasure to use, the package is cute and you can see the colour itself. The formula is really nice. There is a great variety of shades for everyone, they all are really beautiful. The pigmentation is insane! 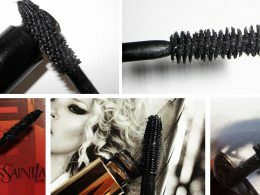 You only need a tiny amount of the product so the bottle will last you forever. But my favourite thing about the Watercolours is actually how long-lasting they are. 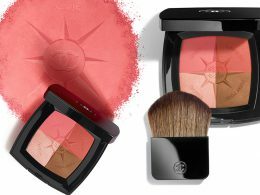 I would even say that these may be the most long-lasting blushes I’ve ever used. These are definitely there by the end of the day. 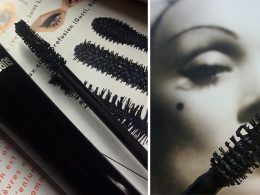 Although they stay on so well, it’s not hard to remove them, you won’t have to scrub your face to get them off. The price is really reasonable for the quality (£14.50 which is less than $25). You can buy them here with the International shipping. 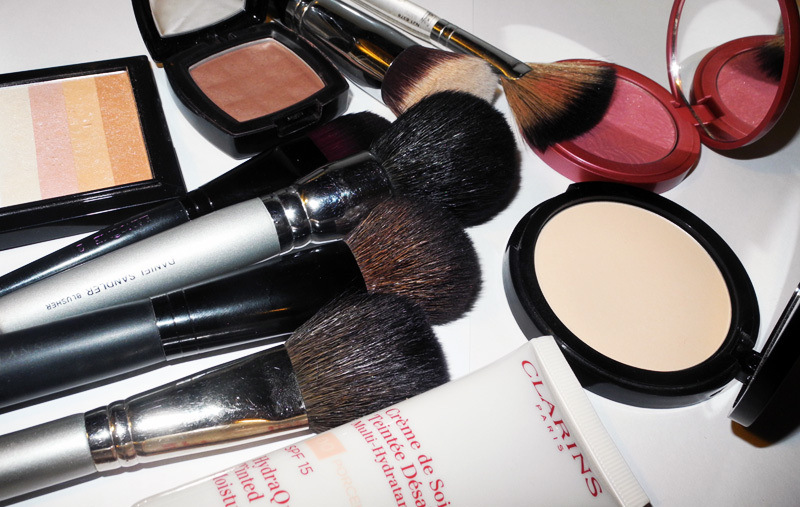 I can’t live without a good blusher. Well, I guess, I can, but don’t want to. This is why I have already dedicated so many posts on the Spring 2014 blushers: Hourglass, Clinique, byTerry and Make Up For Ever and all the prettiest pink blushers for SS14. But these are not all! 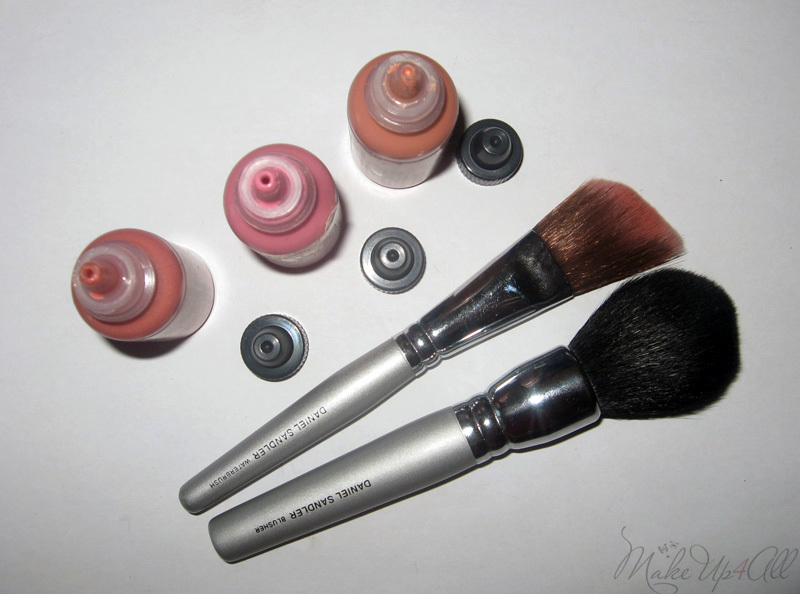 In fact, I have already spotted some new additions for us, blusher addicts! For example, these two killer shades from the Blush King Daniel Sandler – Acid and Trip Watercolour Fluid Blusher Duo (£25, they come as a set). So I’ve been wanting Daniel Sandler’s Watercolour blush for some time already because it looks like something that I would really like. 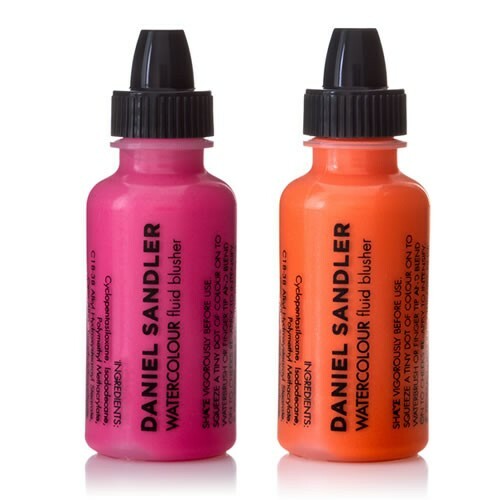 “The award winning Watercolour liquid blush is the Hero product of the Daniel Sandler cosmetics collection. Each Watercolour is 100% blendable, it can be worked onto skin and manoeuvred using the fingers to create beautiful colour-contoured cheeks. Now the only problem is to choose the shade. 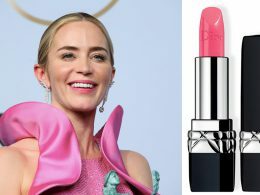 Probably I will get the best-selling shade in Cherub (a delicate sheer, pastel pink). The price is £12.30 for 15ml. 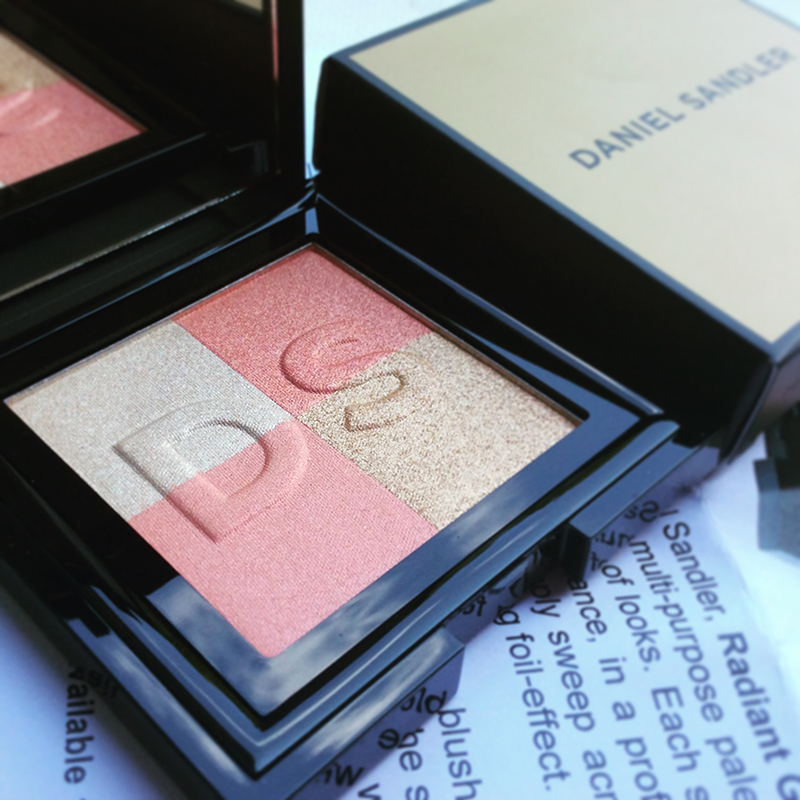 If you are a long-time reader, you probably know that I am die-hard fan of Daniel Sandler’s Watercolour Blush (these two are my favourite), so I was excited to receive his newest product a while ago – Radiant Glow Illuminating Face Powder. 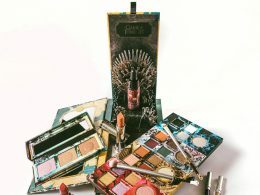 I love the fact that Daniel does not release 100 new products every year but when he does you can be sure that it is high quality and reasonably priced. The newest face powder comes in a signature gold and black packaging, and the product itself consists of four shades which can be used individually or mixed together. 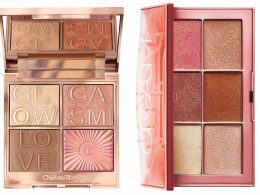 The shades, as described by the brand are: a bright high shimmer gold, a rich shimmery peach, a beautiful creamy white and a pale peach with a gorgeous sheen.